Beyond The Background: Scooby’s Family Tree | TWINSANITY! …And cue the angry mob. Now that that’s out of the way, the reason why we’re not profiling Scrappy Doo is because Scrappy, whether you love him or hate him, is far too well known and prominent in the Scooby Doo universe to be profiled here. Instead, we’ll be looking back at some of Scooby Doo’s relatives who aren’t Scrappy. Next, there’s Scooby Dee, a distant cousin of Scooby Doo who first appeared in the episode “Chiller Diller Movie Theater” and also has a couple of cameo appearances in the second season episode of What’s New, Scooby-Doo?, “Homeward Hound”, where she is one of many dogs seen at the dog show the gang is attending. She is seen walking past the screen in two separate scenes in the beginning. Scooby-Dee was meant to return to The Scooby-Doo Show as a girlfriend to Scooby-Doo, but the show ended before that could happen. Scooby Dee had no other performances other than a certain video tape that’s been circulating in the cartoon underground which features Dee partaking in a game of “fetch” with H-B veteran Doggie Daddy. Next, there’s Yabba Doo, another cousin of Scooby’s who appeared in a recurring segment titled Scrappy and Yabba Doo on Scooby’s SatAM show for a single season. His adventures took place out west, where he fought crime with his master, a bumbling deputy named Deputy Dusty, and his enthusiastic nephew Scrappy-Doo. 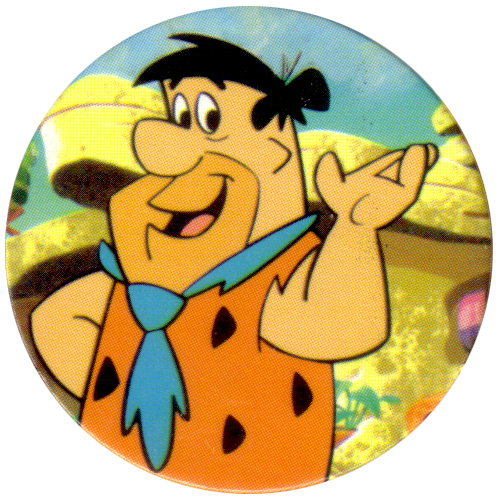 In contrast to Scooby’s catchphrase of “Scooby-Dooby-Doo!”, Yabba’s was “Yippity-Yabbity-Doo!” (and not “Yabba-Dabba-Doo!”). Yabba Doo: Nope. Hanna-Barbera never called us again, but we ain’t bitter. Isn’t that right, Dusty? Dusty: I don’t live with my mother! Oh, sorry, what was the question? Finally, there’s Dooby Doo, another one of Scooby’s extended relatives who is a lounge singer. He appeared in one episode of The New Scooby Doo Mysteries titled “The Dooby Doo Ado”. Currently, Dooby Doo is still working the lounge circuit as an opening act for an Elvis impersonator. So there you have it. A few of Scooby’s relatives who never quite reached the level of stardom as the Great Dane himself. ← Why Cyborg is Awesome! ROTFLMAO!!!!! Thanks for reminding me I need to do a Scrappy & Yabba review for my blog. That's coming before the end of the month. Just to make note, I personally thought Scooby-Dum's personality was grafted from Edgar Bergen's other notable accomplice, Mortimer Snerd. 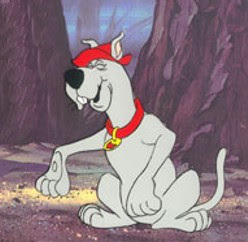 Of course, they could always bring back Dooby as Scooby's twin brother (the pompadour sets him apart from Scoob)…….. I can definitely see the resemblances between Scooby Dum and Mortimer Snerd, although I don't know if it was a direct caricature. I'm sure that there were probably more Scooby relatives that I could have mentioned here, but the thing of it is that “The Dooby Doo Ado” was 1 of the very few episodes of “The New Scooby Doo Show/New Scooby Doo Mysteries” that I actually saw. I was in my early teens during that time and watching “Scooby Doo” was no longer a weekly ritual for me. Also, I'd like to read your review of “Scrappy & Yabba Doo” when it's ready. Sad to say, there are no episodes available on YouTube w/Yabba at the moment. Figures.